On Friday, September 28, a devastating 7.5-magnitude earthquake and tsunami that hit the island of Sulawesi in Indonesia. The Order of Malta’s International Aid Agency, Malteser International, had an assessment team on the ground within days to assess the situation and coordinate relief efforts with local partners. With so many survivors of the earthquake injured, there is a need to put health facilities back into operation as soon as possible. 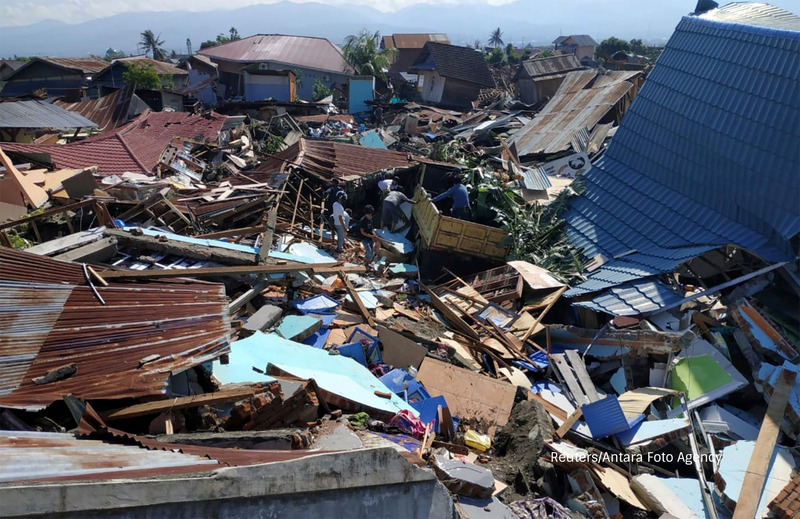 Consequently, Malteser International is supporting its Indonesian partner, YAKKUM* with the repair and rehabilitation of damaged health centers on the island of Sulawesi and the provision of vital medical equipment and medicines. They are also seeking funds to deliver essential relief materials to surround communities. Malteser International is the worldwide humanitarian relief agency of the Sovereign Order of Malta. Their mandate is to provide relief and recovery during and following conflicts and disasters. They are primarily active in the field of health, in which we have almost 60 years of continuous experience. Christian values and humanitarian principles form the foundations of their work: bringing aid to people regardless of their religion, background, or political convictions at over 100 Projects in more than 20 countries. Malteser Internation provide emergency relief in crises such as natural disasters, epidemics, or armed conflicts. During acute crises, teams from Malteser International are on the ground as soon as possible to provide emergency medical care, and ensure the supply of food and other essential aid materials as needed. Supporting the health of the person in an integrated way is the central aim of their work. They do this by establishing functioning medical structures, and protecting health by ensuring people have access to adequate nutrition, as well as water, sanitation and hygiene (WASH). We take a holistic approach to our work: seeking to strengthen the resilience of people in especially vulnerable regions against future crises. Accordingly, Disaster Risk Reduction plays a central role in our projects, while we work to maintain high standards of quality and transparency at all times.